Team GB will need to show some British bulldog spirit on Saturday after suffering a 3-1 defeat to France in their opening game of the 2012 European Championships. There are no easy games in international competition, but on paper drawing France first gave Sam Dempster’s team a good chance to get their tournament started with a victory. The French are the lowest ranked team (41st), based on the International Baseball Federation’s rankings, among the six in Britain’s Group B and they are 18 places behind Team GB (23rd) in that system. Great Britain got off to the perfect start by taking a 1-0 lead in the first inning. Third baseman Michael Johnson struck a triple off French starting pitcher Patrice Briones to bring home Aaron Hornostaj, who had led off the game by reaching base on a hit-by-pitch. France levelled the score at 1-1 in the second inning when left-fielder Frederic Hanvi scored on a ground-out by catcher Boris Marche. The frustration for Team GB came from the fact that Hanvi had reached third base with a certain amount of help, getting on base via a walk by GB starter Aeden McQueary-Ennis and then making it around to third on catcher Sam Wiley’s throwing error in trying to stop Hanvi from stealing second base. Hanvi caused havoc again in the fourth inning as the French scored twice to take a decisive 3-1 lead. France’s left-fielder repeated his first inning trick by patiently working a walk and then stealing second base and coming home on a throwing error by McQueary-Ennis. Yan Dal Zotto reached first base on the same run-scoring play and he ultimately made it around to home plate for France’s third run of the game, doubling the frustration caused by the initial error. McQueary-Ennis got out of a bases-loaded jam to end the inning and to limit the damage; however the damage that had been caused would prove fatal to Team GB’s hopes of an opening day victory. Paul Waterman pitched four outstanding innings in relief to keep France off the scoreboard for the rest of the game, allowing only two base-runners, both on singles, while striking out four. Unfortunately the Team GB bats just couldn’t get much going against Briones. The French starter’s most vulnerable point actually came in the top of that fateful fourth inning when Great Britain had runners (Wiley and Matt McGraw) on first and second, only for Briones to escape thanks to a Craig Pycock pop-up to the shortstop. Briones matched Waterman’s efforts by allowing only two hits over the next four frames and that meant Great Britain came to bat in the top of the ninth inning trailing 3-1. McGraw gave British fans hope of a come-from-behind win with a two-out double, yet he would get no further as Briones struck out pinch-hitter Richard Klijn to end the game. The final scoreboard proved to be a frustrating sight for Team GB. They out-hit the French six to five, but the four errors to France’s none were the difference. On the same night in MLB, the Pittsburgh Pirates committed seven errors (leading to a brutal nine unearned runs) against the Chicago Cubs showing that such days can happen to any team when they are playing hard to earn a ‘W’. Great Britain will put it down to experience and come back fighting against the Czech Republic. The Czechs, ranked 20th in the world by the IBAF, showed their ability and battling qualities by pushing Germany beyond the regulation nine innings on Friday, ultimately losing 5-4 in ten innings. Both the Czechs and Team GB will be out to get their first win on the board in Utrecht on Saturday. First pitch is scheduled for 19.30 local time, 18.30 British time, and the action can be followed on a live basic play-by-play feature on the CEB’s website (click on the Live Utrecht link when the game is in progress). POSTSCRIPT: Bob Fromer’s full game report can be found on the BBF website. Things good here. We are in the midst of our fall schedule…..
Hi Chico. Good to hear from you. Hope things are going well. 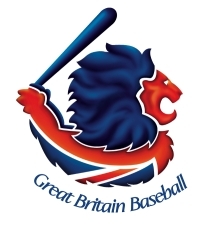 We’re getting excited about Team GB playing in the World Baseball Classic qualifier!